My family, friends and I enjoy this salad and its unique refreshing zesty taste. 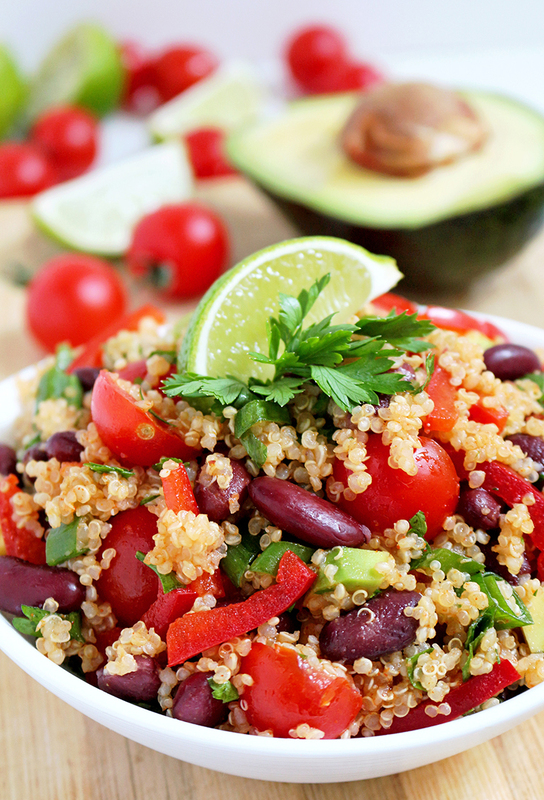 Zesty Lime Quinoa Salad is really special. Quinoa is a grain, popular worldwide and with a good reason. There is also, lime, cumin, pepper, Worcester sauce and black pepper…. 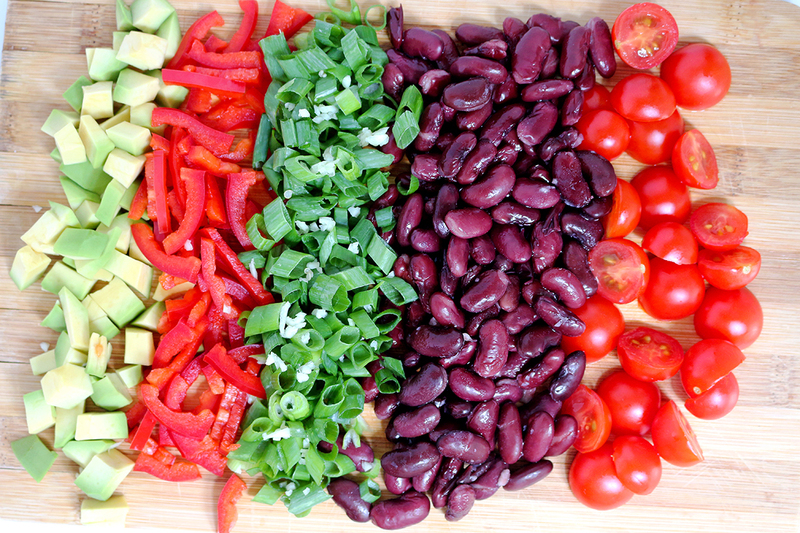 then there is also beans, cherry tomato, pepper, avocado and green onions. If you are a salad fan, check out the most popular salad recipes on our blog Cranberry Pecan Spinach Salad and Strawberry Spinach Almond Salad. 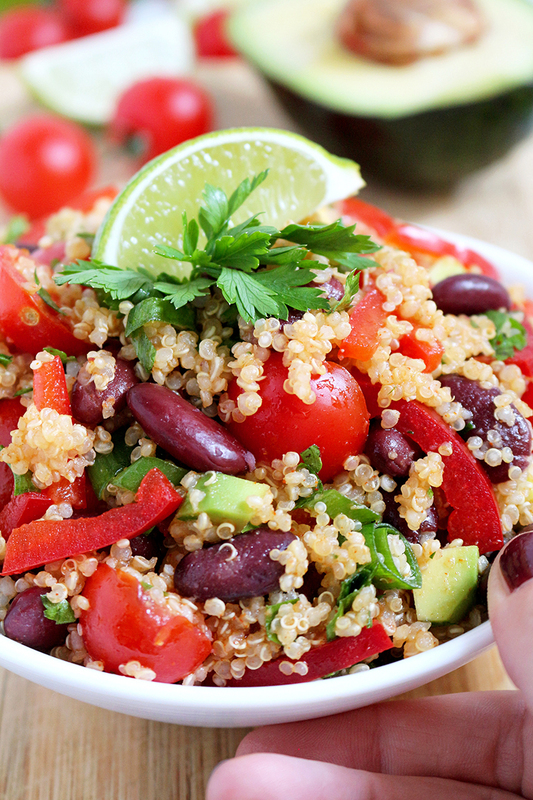 If you haven‘t tried quinoa yet, this salad will make you love It., I’m sure. Enjoy! Put quinoa and a teaspoon olive oil in a medium pan and cook for 3-4 minutes, medium heat, until a specific smell appears. Add warm water, reduce heat to minimum, cover and cook for 15-20 minutes or until water is absorbed. Set aside to cool completely. 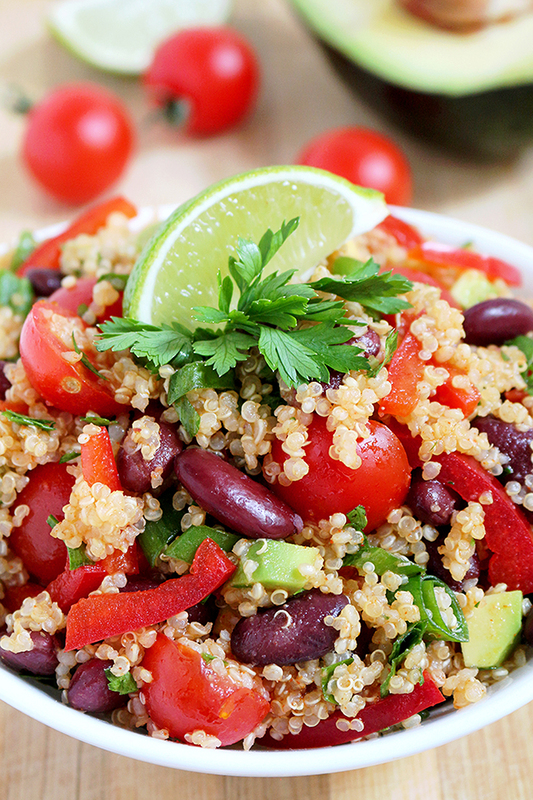 In a large dish, combine chopped green onions, cherry tomato, avocado, pepper, beans and cooled quinoa. In a small dish mix olive oil, lime juice, cumin, Worcester sauce, salt and paprika , then pour it over quinoa mixture and stir well. Season with black pepper. Put some chopped parsley over it and decorate. It can be chilled before serving.